Lynn Eugene Davis was born on March 5, 1947 to Lynn Russell and Martha Jean (Yost) Davis in Commerce, Oklahoma. 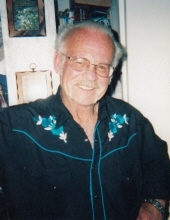 He departed this life on February 4, 2019 in Pryor, Oklahoma. Lynn joined the United States Marine Corp in 1969 and served until 1971. Lynn was a dairyman most of his life. On March 30, 2009 he married VeNila Palmer and the couple made their home in Pryor. He attended the First Baptist Church. Lynn was a man of many trades. He was a carpenter, built houses and also installed A/C units, including installing the units at the cheese factory in Tillamook, Oregon. He loved going to garage sales, mushroom hunting and playing in pool tournaments. He also loved to sing and dance; he loved to sing karaoke and years ago he sang with the Billy Patton band. Lynn loved being outdoors and he loved riding motorcycles and was a part of the toy drives for several years. He was a great man that was loved by many and he will be deeply missed. He is survived by his wife, VeNila, of the home; daughter, Sherry Smith; three sons, Lyle Davis, Dale Davis and Troy Davis; two step daughters, Milynda Rhoads and Katie Rhoads; several grandchildren and great grandchildren; several nieces, nephews, other relatives and friends. He is preceded in death by his parents; one son, Larry Davis; one sister, Donna Lundgren and two brothers, Keith Palmer Jr. and Sam Palmer. To send flowers or a remembrance gift to the family of Lynn Eugene Davis, please visit our Tribute Store. "Email Address" would like to share the life celebration of Lynn Eugene Davis. Click on the "link" to go to share a favorite memory or leave a condolence message for the family.